Most legislators are likely to take issue with some aspect of the governor's ambitious $6.8 billion proposal. Gov. Paul LePage’s $6.8 billion budget proposal might as well be a blueprint of the policy he has pursued – with some success – since winning election in 2010: tax cuts, welfare reforms and downsizing government. LePage’s budget, released without fanfare late Friday night, seeks to cut income and corporate taxes, reduce the state workforce by 500, and further reduce welfare rolls. Yet it also attempts to broaden the sales tax and seeks sweeping and likely controversial changes to education funding policy in ways that will affect communities and property taxes statewide. It is an ambitious policy declaration by a two-term governor who, for all of his claims of being a non-politician, has successfully used his bully pulpit, his veto pen and his relationships with a cadre of loyal supporters to eke out some substantial victories. But does that mean LePage will get everything he wants? Absolutely not. In some ways, budget proposals from Maine governors are mere wish lists sent to the Legislature, which is charged with cobbling together a two-year spending plan. But they often serve as a starting point for negotiations largely playing out in the Appropriations and Financial Affairs Committee, whose 13 members will spend months deconstructing LePage’s plan to make it their own. In Maine, budgets typically require a two-thirds vote in both the House and Senate, essentially eliminating the possibility of the majority party ramming its spending priorities down the minority’s collective throat. And the divided nature of the current Legislature – with Republicans and Democrats each controlling one chamber by narrow majorities – guarantees LePage will have tough sledding ahead. But the past six years (encompassing three two-year budgets) clearly show that at least some of LePage’s priorities are likely to survive the messy legislative process. Perhaps LePage’s biggest wins have been in the area of taxation. And his latest budget proposal shows he’s not done yet. LePage wants to reverse the 3 percent tax surcharge on Mainers earning over $200,000 that voters approved in November as part of a campaign to funnel more money into education. But he would do it in an unusual way. LePage’s tax proposal would essentially nullify the 3 percent surcharge by setting Maine’s top tax rate at 7.15 percent this year (instead of the current 10.15 percent) while leaving the lowest rate steady at 5.8 percent. By 2020, all taxpayers would be paying a flat tax of 5.75 percent. Democrats are sure to point out the large disparity in how those cuts are distributed – a 0.05 percent rate reduction for the lowest earners compared to a 4.4 percent rate drop for the top tax tier, which kicks in at $37,500 for individuals and $75,000 for married couples. For LePage, this is yet another step forward in slashing income taxes. The top rate, for instance, has declined from 8.5 percent to 7.15 percent during his term – until voters approved the 3 percent surcharge in November, that is. Other tax brackets have also fallen. Many Republican lawmakers are likely to embrace the tax-cut portion of LePage’s budget. But other parts of his tax plan? Well, not so much, if his experience two years ago is any indication. For instance, Mainers would now have to pay taxes on: movie or concert tickets, snowplowing and lawn care services, housekeeping, house painting, haircuts, tanning, nail salon sessions, dry cleaning, ski lift tickets, golf greens fees and private trash collection. The tax on hotel rentals would also rise from 9 percent to 10 percent. However, other household services deemed more essential – such as car repairs, carpentry, plumbing and electrical repairs – would continue to be tax-exempt. LePage proposed an even more sweeping expansion of the sales tax during his 2015-16 budget, only to see it stripped out, largely at the insistence of Republican lawmakers. While Republicans were key in fighting to include a modest income tax cut in the budget, many balked at the idea of a broader sales tax. And the issue became a point of friction between LePage and some Republican leaders. Fredette, the House minority leader, said he believes this is the toughest of the governor’s four budgets. “Some people will, I think, take issue with those,” Fredette said. “And I think there are going to be some real challenges to some of the proposed cuts” to state departments. 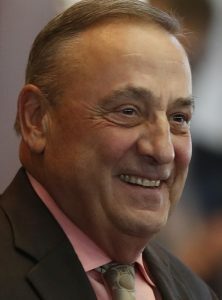 LePage also wants to fully eliminate the estate tax – called the “death tax” by critics – having already persuaded the Legislature to increase the kick-in threshold from $1 million to $5.45 million. He can expect strong opposition from progressives on that, too. Democratic leaders planned to spend the weekend reviewing the governor’s budget proposal but were already casting shadows over the tax cuts. LePage may find more common political ground on his proposals to increase property tax credits for some individuals, particularly those over age 65. But even those proposals may encounter pushback because they limit the credits available to some filers or could reduce the levels for others. Municipal leaders, meanwhile, may be unhappy with LePage’s proposal to hold “revenue sharing” – the slice of sales tax dollars sent back to towns and cities – at the current level of 2 percent. The original law directed 5 percent to municipalities as a way to limit pressure on property taxes. LePage is seeking arguably bigger policy shifts in the arena of education funding. A vocal critic of Maine’s highly localized education system, LePage unveiled plans last week to offer up to $3 million in financial-incentive grants to school systems that pursue “regionalization, consolidation and efficiency.” The idea was to encourage school systems to explore collaboration voluntarily rather than through the type of forced school consolidation program pursued by his predecessor, Democratic Gov. John Baldacci. Yet LePage’s budget also appears to employ a stick as well as a carrot in his effort to regionalize. In other words, school districts can keep their current administrative structure – a system that had led to nearly 150 superintendents statewide – but will have to pay for it themselves. A key part of that new system would be a statewide teacher contract, with the state acting as the collective bargaining agent. It is unclear, however, how a statewide teacher contract would play out in the state’s extremely diverse economic regions, given that the cost of living in Portland is sky-high compared to living in, say, Caribou or Skowhegan. A representative for the Maine Education Association – the powerful teachers union and advocacy force in Augusta – declined to comment as leaders were still digesting LePage’s budget. But the governor’s education proposals are tied to his plans to unravel the 3 percent tax surcharge on Mainers earning more than $200,000. And a leader in that ballot box battle vowed another fight over education funding. The governor is also seeking to lift the current 10-school cap on charter schools. Meanwhile, higher-education advocates are likely to be excited about LePage’s proposals to increase funding to the Maine Community College System and Maine Maritime Academy, and finance zero-interest student loans with state bonds. LePage is also continuing his focus on Maine’s welfare programs through new measures, as well as repeat proposals that were rejected by the Legislature numerous times. The governor wants to set a 36-month limit on households receiving Temporary Assistance for Needy Families, or TANF. That is a further reduction on the 60-month limit pushed through by LePage and his supporters after heated debate in the Legislature. Also, the administration wants to penalize TANF recipients who quit a job without “good cause” and would eliminate all but one of the “good cause” exemptions from sanctions for individuals who fail to participate in mandatory work programs. The only exemption would be for domestic violence. 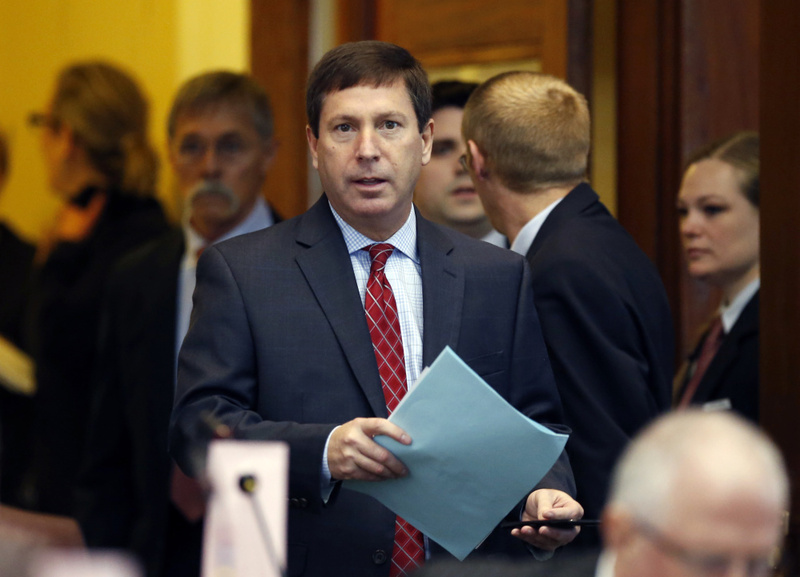 Asylum seekers and undocumented immigrants are also facing renewed scrutiny from the governor. LePage will try again to make asylum seekers ineligible for General Assistance after failing to win legislative approval in the 2015 budget and last year. But another part of his budget would eliminate state support for General Assistance as a whole. Such a move, which would save the state an estimated $12 million, would disproportionately affect Portland, Bangor and Lewiston, which receive the lion’s share of state funding. Those welfare changes, and others, are likely to face opposition from advocates for the poor and some Democrats. But LePage has, by now, a long track record of success on other so-called “welfare reforms” despite Democratic majorities in either or both chambers of the Legislature.